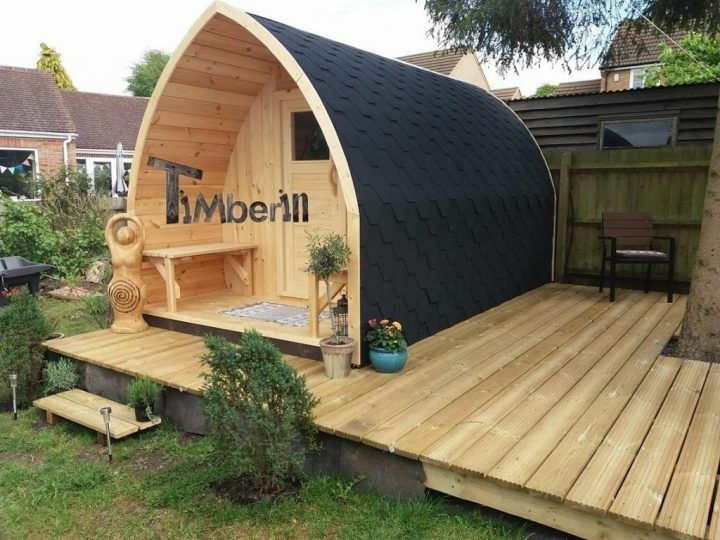 Hi to all at Timberin! I have attached some photos of the finished sauna, I hope it looks ok to you. We are very pleased with it and have had lots of lovely comments, most people say it’s ” Awesome!” It would be great if you put one or 2 photos on the website. We have placed the sauna on decking and have a Lazy-spa hot tub next to it as well, you should be able to see this on some of the photos. The sauna will be wired up this week so we can finally use it, we are really looking forward to that!